In order to measure success, Zappos landed on engagement as the key metric to track performance. Influencer marketing campaigns hit that metric for them. When a company’s core value set includes “Create Fun and A Little Weirdness,” it’s likely their employees will be enthusiastic and energetic. That’s just one of ten core values at Zappos.com. Melissa Depelchin, a marketing manager on the Zappos Co-Op Marketing Team, is nothing short of spirited. And she’s a hugger. Driven by another of their core values, “Deliver WOW Through Service,” Zappos began dabbling in influencer marketing campaigns in late 2016. The goal was to bring added value to their brand partners. Today, Depelchin spends her days leading the social media and influencer marketing efforts inside the Co-Op Marketing Team. Her love of influencer marketing is unwavering. Melissa and her team funnel their energy into contemporary ways to bring additional value to the brands they carry on Zappos.com. Influencer marketing is a key part of the Zappos marketing mix for both well-established brands and up-and-coming brands. 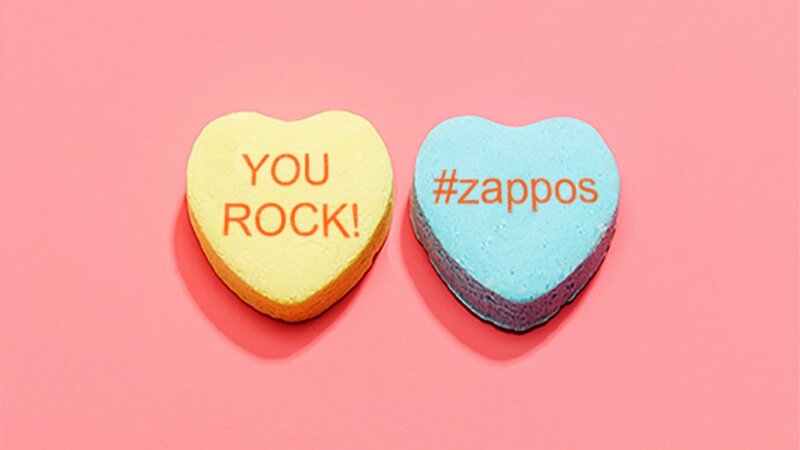 In order to measure success, Zappos landed on engagement as the key metric to track performance. And they treat all influencer marketing campaigns the same, regardless of brand. “We look for engagements first and of course anything that stems from engagements is wonderful to have too,” Depelchin underscored. As Depelchin and the Zappos team evaluated influencer marketing solutions, they were initially looking for more options to execute smaller influencer campaigns. With a range of brand partners, Zappos saw great diversity in budgets. “We wanted to have more tools in our toolbox to offer our brand partners,” said Depelchin. In a given quarter, Zappos runs a range of campaigns on the Find Your Influence platform. These campaigns have crossed all verticals spanning fashion, outdoor, casual, western, athletic and swim. “Really any of the different products in those verticals work well with influencer marketing because you (FYI) have that vast network of influencers that live every day in those verticals,” emphasized Depelchin. The most successful influencer marketing campaign with Zappos and FYI? “We did a college road-trip/game-day tour where Hunter partnered with Zappos to carry an exclusive campus collection,” recalls Depelchin. “The tour visited three major universities over three weeks and influencers were part of the marketing mix.” The influencer campaign surrounding that specific activation saw record engagement for Zappos.